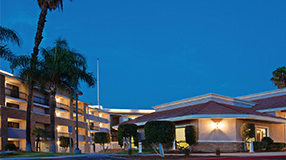 The La Quinta Inn & Suites Pomona 3200 W. Temple Ave., Pomona, CA 91768, Phone: 1-909-598-0073. Located in sight of the beautiful San Gabriel Mountains, and conveniently located right off Hwy-57 freeway at the Temple Ave exit. The Sheraton Fairplex Hotel & Conference Center is situated at the Fairplex Exposition Complex, home to the LA County Fair. Located at the intersections of Los Angeles, San Bernardino, and Orange Counties, our warm, comfortable, and well-appointed hotel awaits your arrival. 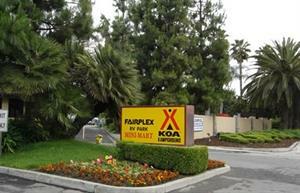 Fairplex KOA RV Park is the perf ect escape to a safe and serene camping environment. Seated against the backdrop of the majestic San Gabriel Mountains, this popular, 12-acre vacation spot is available on a year-round basis. 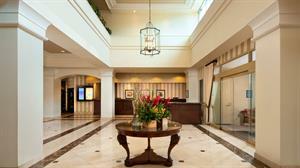 Our friendly and helpful guest service staff is ready to assist you at any time. Visit website for more details.